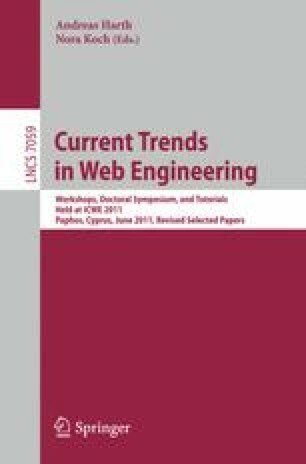 Modern web applications often contain features, such as landmarks, access control, or adaptation, that are difficult to model modularly with existing Model-Driven Web Engineering approaches. We show how HiLA, an aspect-oriented extensions for UML state machines, can represent these kinds of features as aspects. The resulting models achieve separation of concerns and satisfy the “Don’t Repeat Yourself” (DRY) guideline. Furthermore, HiLA provides means to detect potential interferences between features and a declarative way to specify the behavior of such feature combinations.